Thijs Maas is a Dutch LLM student who developed a keen interest in the interplay between distributed ledger technologies and law. He started LawAndBlockchain.eu to help narrow the increasing gap between legal doctrine and regulatory challenges posed by blockchain-based asset classes. An increasing amount of scams involving Ethereum tokens and initial coin offerings (ICO’s) on other platforms has surfaced. Far more scams are yet to be uncovered. In this article, I argue that the problems we see in crypto today are caused by moral hazards, and that law is a possible solution. However, the manner in which regulation is implemented is crucial, as ICO regulation should not be (too much of) a burden to innovation. This seems to be the perspective of a large part (or very loud minority) of the crypto community. Of course, this is understandable considering crypto’s ‘cypherpunk’ roots. Regardless of whether this assertion is justified or not, I would like to raise a different perspective: I believe regulation is not only good, but even necessary for this space to thrive in the long run — and we should even help regulators in any way we can. So, why do I say this? First, it is necessary to understand that law is the oil that makes our society function as a whole. It provides for trust between parties and reduces moral hazards. Trust allows people to do business with each other, without having to resort to violence when a party is dishonest. After all, we can fall back on our legal system in such a situation. 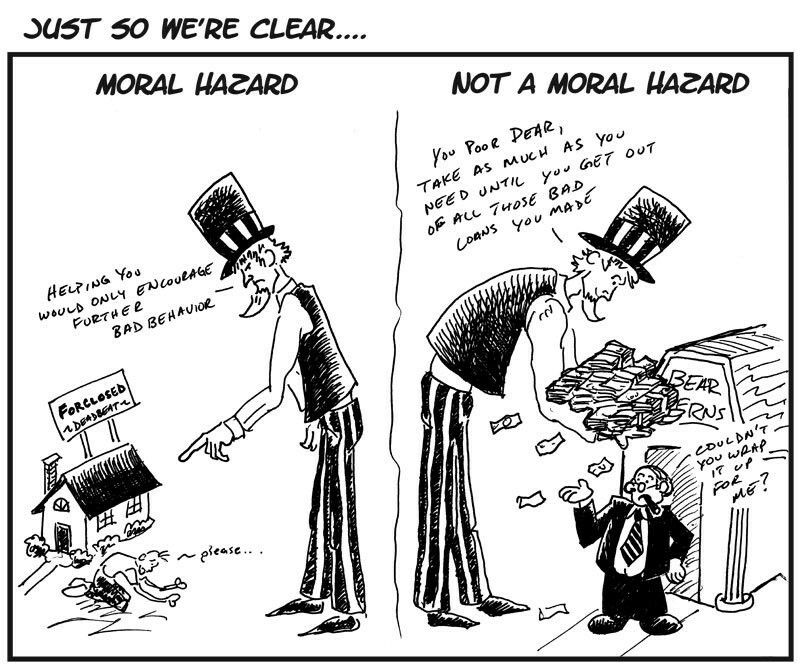 Moral hazards is a concept of economics, which entails that if the costs resulting from someone’s actions is socialized, they are more likely to engage in behaviour that is a risk to society. People don’t always do what is right; they could do what benefits them the most. They could act morally questionable if they see an opportunity for personal gain. Any such opportunity is a moral hazard. Our legal system generally tries to reduce moral hazards by punishing immoral behaviour. Someone that would normally be inclined to act on his moral hazards will think twice if he has to weigh in possible punishment. This is an important function of the law, as, without it, only morality would stop someone from acting in a way that could harm others for their own benefit. In this space, there is a great amount of legal uncertainty. Crypto finds itself in a grey area of law, where known legal classifications, norms and laws are difficult to apply. Moreover, as a result of the global nature of decentralization, there are many jurisdictional complications towards the application of law. As such, many believe we are in a legal ‘wild west’, in which normal regulations do not or can not apply. However, this is wrong. While the law may be dull and the technology exciting, the impact of the law cannot be simply wished away. Neither does complexity of application mean that law does not apply. Legal uncertainty is not the same as a wild west. Many Believe we are in a legal ‘wild west’, but this is wrong. Scamcoins: see for example Paycoin, OneCoin, S-coin, EarthCoin, REcoin, DRC or many others that have just not surfaced yet. Other scams & ponzi schemes: check out this list. Exchanges are unreliable and non-transparent. Check out the stories of Mt. Gox, BTC-E,Bitfinex. Pump and dump schemes: Lots of groups on telegram, websites etc. Order spoofing is a common practice. Hacks: An estimated $225 million worth of Ethereum has been stolen from ICO-related activity in the last 12 months through hacks or phishing. Many projects that raise money with an initial coin offering make unsubstantiated claims about their project and its future, which misleads investors, leading to abnormal amounts of speculation. At the end of the day, these problems are caused by moral hazards. The actions taken by these individuals is a problem for the community at large: the cost is socialized. It is not the first time that we see these problems either. In fact, scams, ponzi schemes and other financial fraud play a role in causing the Wall Street Crash of 1929 leading up to the Great Depression. Back then, it was decided that these practices should be prevented and as such, the US government enacted the ‘Securities Act’ and the ‘Securities Exchange Act’. In essence, these laws reduced moral hazards for issuers of securities: they made sure there was less room to behave opportunistically or fraudulently. All of a sudden, issuers now had to be transparent about their securities, as certain disclosure of information was made mandatory, and any misrepresentations would lead to liability of the issuer. I don’t think anyone will disagree that moral hazards relating to ICO’s are, to a large extend, a solvable problem. Mandatory transparency for token offerings and the punishment of immoral behaviour can have the same effect here as it had in traditional securities. The token market can and will not stay unregulated for much longer, as investors’ interests need protection. While this argument may seem to make a lot of sense, history has shown that this is not the case. The problem (of this neoclassical economic theory) is that it assumes that investors are completely rational. However, this is simply not the case, and the academic world has largely moved away from the concept of the rational investor towards a conceptualization based on behavioural finance: investors try to be rational, but they are in reality subject to all sorts of irrational behaviour. Therefore, they should be protected (to some degree) from their own irrationality, as others should not be allowed to abuse it. Last week, Richard Thaler, the man largely responsible for the change in academic narrative on the rationality of investors, received the Nobel Prize in economics. Then why are we seeing such an obvious speculative bubble emerge? The potential of blockchains is complicated and the investors’ lack of knowledge easily exploited by using some hype-words. In fact, investors are constantly provided with overly optimistic information or even plain fraudulent misrepresentations about upcoming token offerings. In return, projects are receiving irrational amounts of money, which spurs other opportunists to try their luck, set up a webpage, write a vague whitepaper full of hype-words and laugh their way to the bank. I would say crypto investors need protection more than others. No, as there are more problems that I have listed in this article. However, if we are not in a bubble then I would love for someone to explain to me why startups without a proof of concept, decent business plan or working project are getting valued at tens of millions. Still, there are more advantages to regulation than just the protection of investors. Many tokens will likely be classified as securities in some jurisdictions. This makes mandatory disclosure requirements applicable to token offerings. Mandatory disclosure gives investors more information to try to rationally base their decisions on. The information provided to investors will be more reliable, as developers would be liable for misrepresentations about their projects. Developers would be obliged to actually do what they claim to do. Moreover, exchanges will now have to comply to relevant regulations on the trade of securities as well. This will impose mandatory transparency and quality standards for exchanges. Pump and dump schemes and order spoofing will become less prevalent, as exchanges will have to comply to the stricter regulations that apply when selling securities. If crypto stays a wild west for long enough, regular investors will likely start associating the space with the problems they hear about: illegal practices, scams etc. This will make interest in the space go down rapidly. Know your customer (KYC) and anti-money laundering (AML) regulations will also help in this respect. A clear implementation of such rules will help crypto to get rid of claims that cryptocurrencies and tokens are only used by criminal and terrorists. Regulatory uncertainty is a concern for many (institutional) investors. If alleviated, we will see more investments by angels, (corporate) venture capitalists, and hedge funds. These parties bring knowledge and industry connections with them — something that is needed for this space to mature. Moreover, they will provide legitimacy to the space, which starts a positive feedback loop. However, I have to say that an active venture capital fund in the space indicated to me that they love the current legal uncertainty. My belief is that they love it because it reduces competition in a space they know will eventually thrive. If rules are clear, legal risks can be addressed. At the moment, these risks can only be estimated. 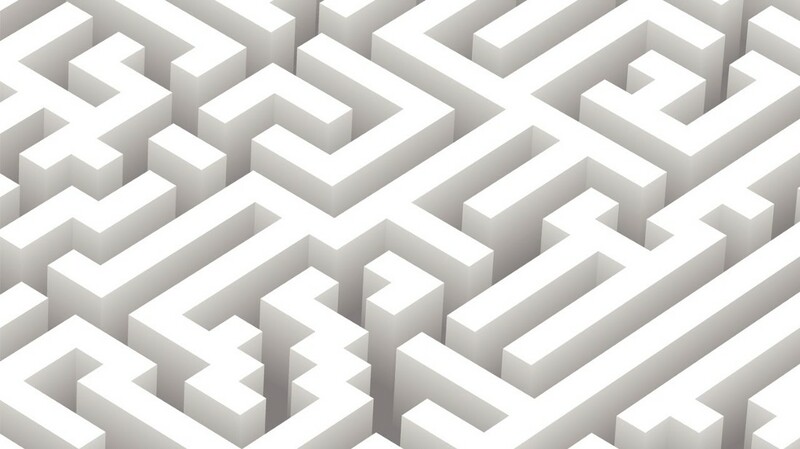 Reducing regulatory uncertainty will reduce barriers to entry for all that are not comfortable with the current legal landscape. Think, for example, of an exchange. 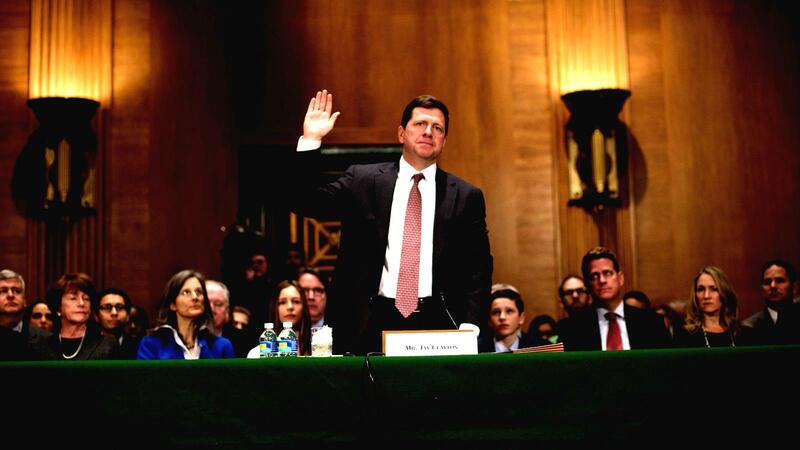 Right now, exchanges could potentially be subject to SEC regulations on securities exchanges, alternative trading systems (ATS), broker-dealers, transfer agents, and clearing agencies, as well as the Financial Crimes Enforcement Network’s money transmitter laws in each individual state and KYC/AML. And I am not even talking about other jurisdictions yet! Being able to make informed decisions on compliance makes it easier to enter the market. Understandably, there are fears that regulation will stifle innovation. If regulation is too strict, it could actually increase the burden to entry for many companies. Having to comply with all securities regulations worldwide would impose huge costs on startups — which they cannot afford. Moreover, rules in a space that as innovative as crypto often do not age well: they could be incompatible with future innovations. This is a huge concern, as regulators might not fully understand the potential of distributed ledger technologies. Two points are worth considering however. Regulators are aware of this. In fact, it is the reason why they been taking a wait-and-see approach for so long now. They have no interest in stifling innovation. They know that if they make rules too strict in their country, innovators will move away to more ‘innovation friendly’-jurisdictions, which is economically not desirable. In other words, regulators will have to do a balancing act between protecting vested interests (e.g. the protection of investors) and crafting the most innovation friendly regulation possible. The above arguments do not take away all fear for bad legislation. Regulators might not fully understanding the potential of certain innovation. They could also be subject to lobbying from traditional industries that are not too keen on disruption. Therefore, it is up to the crypto community to actively participate in educating regulators and working together in thinking about, and drafting, regulations. This is of great importance, and it is why I have great appreciation for parties like CoinCenter. Additionally, we should also think about how we can take away the regulators’ pain points. Taking investor protection with regards to ICO’s as an example again, the crypto industry should work together in establishing a reasonable framework of best-practices or standards. This could for example involve the drafting of a classification-system for different tokens (cryptocurrencies, protocol-tokens, utility-tokens etc.) and voluntary compliance regimes for each, to increase transparency and protect investors from parties acting on their moral hazards. Moral hazards have led to many problems in the crypto space, which in turn have attracted the attention of regulators, which will be looking to address these. This is not a bad thing, as long as they are addressed properly. Currently, the moral hazards means that the costs of the ‘immoral behaviour’ of some is being socialized on all of us in the industry. Crypto is (yet again) starting to get a bad reputation, just when people started to accept Bitcoin as a digital currency that is not only used by terrorist. Addressing the regulators pain-points is necessary, as they are well-founded. Ideally, we should work towards regulation that protects interests of legislators and is no burden to innovation whatsoever. However this is not as easy as it sounds, as it involves an extremely difficult balancing act between (partly) misaligned interests. It is therefore our duty as an industry to assist regulators in this process, by educating them where necessary and together thinking about possible approaches to be taken, including self-regulation. After all, if we as a community do not take the time to fully understand and address the regulator’s pain points, then why would they take the time to consider ours? The Curious Tale of Tezos —from a $232 MILLION ICO... Just 8 months ago, a blockchain project called Tezos raised $232 million with an initial coin offering. It was the biggest ICO ever. Arthur and Kathleen Breitman, the young couple that founded the project, literally raised over 10x more than their wildest estimates. 8 months later, the couple and the project is facing four class action lawsuits. How could it all go so wrong? Stable Coins and the Law: The Dangers of Unbundled... The differences between traditional banking and blockchain banking are immense. The issuance and administration of stable coins impose substantial risks if not regulated properly. In this essay, the inherent risks posed by the uncoupling of formerly inseperable banking functions are explored and the argument is brought forward that the model of current stable coin regulations sounds the death of the 'trustless' promise of the blockchain dream. What is Ethereum? A complete guide.